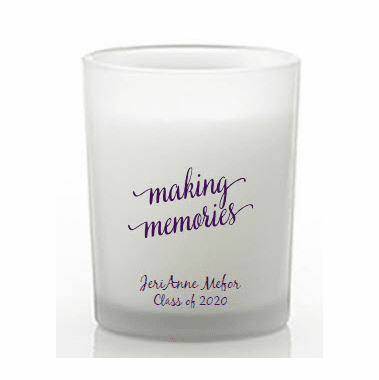 Your friends will love these graduation candles. It'll make a great keepsake from your graduation party. Each candle is frosted, filled with white wax, and measures 2.5" tall x 2” in diameter, in a classic shot glass/votive holder shape. 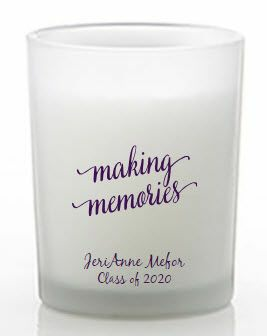 These personalized votive candle holder favors come bulk packed. Please allow three weeks for silk screening and processing as well as transit time for shipping to your location.